Arcade Operator is an experimental meta game that explores the interface as defined by the context of the user. It is a self-reflexive artefact, an art game that uses the arcade videogame interface as a medium through which to examine its own connective properties. 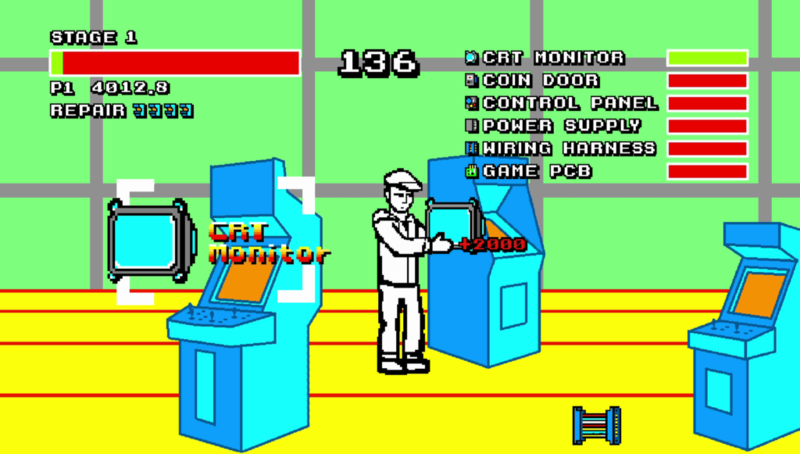 Instead of playing the coin-ops present in the diegetic space of the onscreen arcade, the player must interface at operator and technician levels by maintaining the game cabinets. The style of interaction is based closely on the sideways scrolling brawler sub-genre of arcade gaming, except without the brawling. 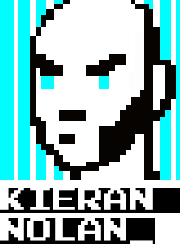 Arcade Operator switches the user context to a non-gameplay mode of interfacing with arcade videogame platforms, albeit in an abstracted form through an arcade play mechanic. 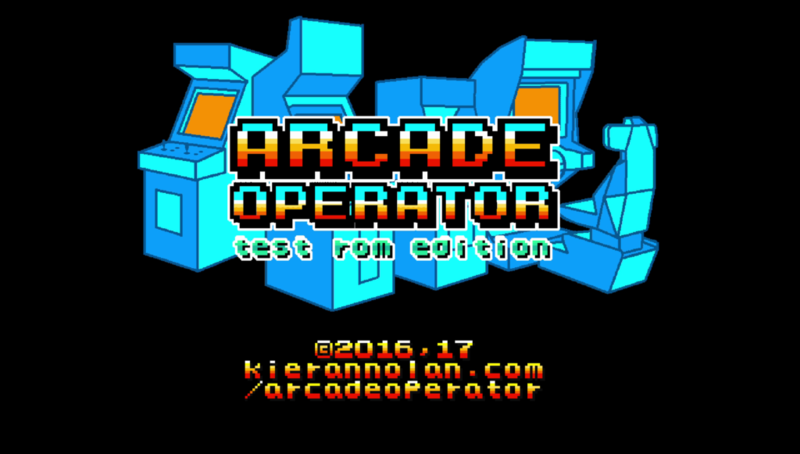 Arcade Operator (Test ROM Edition) title screen. The stage intro screen, detailing the arcade cabinet anatomy. Arcade Operator demo stage 1, spare parts help speed up the repair process. To the playing (and paying) public, arcade videogame cabinets represent closed off, black box computing systems. 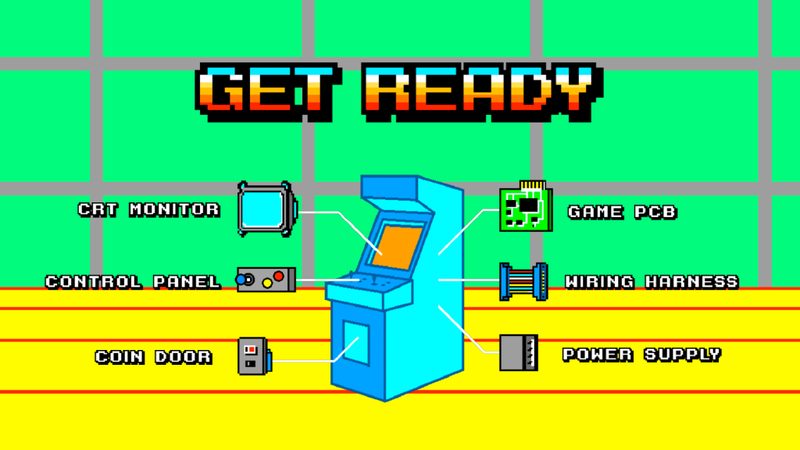 The arcade operator who runs the arcade and maintains the machines has a unique, non-play level of interaction with the machine, performing repair and maintenance tasks on the same hardware. Similarly game developers and engineers connect with the same computational system through different interface contexts, while game art practitioners use gaming platforms (both hardware and software) as raw materials for their own unique creators context. An arcade cabinets inner workings are strictly utilitarian, right down to the unadorned, exposed nature of the cathode ray tubes and game printed circuit boards. Operator level interfacing with the arcade platform ranges from routine tasks such emptying the coin-tray and configuring game values via dip-switches, to more complex tasks such as installing game PCBs and troubleshooting and repairing defective game boards. Arcade Operator is an experiment in taking the repair and maintenance tasks of the arcade operator and making the associated processes and platform components visible to the arcade player.